There's so much good music being released in the past weeks that Wo. started to run behind on his Kairosses. This is mended with his view on the October 2018 Kairos here. Once again Wo. 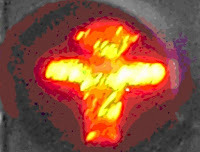 shines his unique light on .No's radio show on Concertzender, every time wondering what he will encounter next. Of course there are staples by now but each month very new (forms of) music, although arguably he seems to think that some contributions do not deserve that name, reaches his ears and sends his imagination reeling. So where are we? It's time to meditate on modern times music. Now I haven't heard music from Bob Dylan's album called thus, but then the old grumpmeister started his decent into music of his past on that album. So instead I'm hearing a light, female voice singing in a language I don't get a single word from. Until I realise it's German. A very traditional melody is laid over soundscapes and dark sounding percussion (no Steve Lillywhite production here). Irish sounds are mixed in and somehow a mix of music celebrating the EU comes from my speakers. 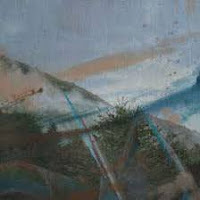 It is from an artist called Faun and all of a sudden I remember one of the very first contribution of .No on this blog (read on here: http://wonomagazine.blogspot.com/2012/03/faun-in-013.html). Yes, despite this being an odd combination, this is beautiful music. Let's call it 21st century folk. The singing disappears, the melody is continued on a harp or something, while underneath it darkness creeps in. Slowly but surely the evil spirits take over, with a sigh from the innocent voice. Strange fauny voices come forward from the edges of an ever darker forest. Time to move on for sure. To Pieter Nooten who returns with a track from his album 'Stem'. High clear piano notes announce a new morning. 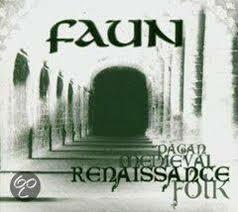 The sun is rising, the fauns are gone from this earth. The air is fresh and quivers in the sunlight. Dew frops fall from leaves and animals take their first steps while walking through the early morning mist that hovers over the fields, about to be driven away by the warmth of the sun. A new beginning 'Quarter Moon' is after 'Das Tor'. Now I know never to believe my ears while listening to Kairos. Not even the tracklist can be trusted, as .No has turned himself into the Ben Liebrand of Concertzender with his incredibly good ears and mixing qualities. Still I'd say that despite some doubts around 9.50 into this Kairos what follows is still Pieter Nooten. Clear, high, pristine. I have to say, this is a great start of Kairos. 'Quarter Moon' could be a film score yet is tenfold more interesting. Yes, the change is there. Around 12.30, the same dark interlude as when I expected the change before, so what happened there really? Dazzle Ships were painted war vessels in WWI meant as a disguise to fool the enemy. Whether it actually worked I haven't learned. Dazzle Ships is also an album by Orchestral Manoeuvrers in the Dark from the 80s. That album without hitsingles and it is a contribution on this Kairos from a band called Trouble Brooks. Atmospheric, nearly non-musical. Just instruments swelling, deflating and a sound like old fashioned cash registers. Not my cup of tea, but an interesting interlude, especially as it is so short. Some weird noises and a piano returns, sole, lonely notes, recorded with all the reverb the piano and the room could deliver. Behind it a choir, really in the background, to my ears just singing "oooooooo". 'Nocturne 4' from Boysen's album 'Spells' is moody, dark, yet radiating beauty from within. Piano notes played with one finger it seems. Perhaps I could even play this. And then like a tsunami sound rolls in, enveloping all and turning the fourth nocturne into a (classic or prog) rock anthem. This is so good, so refreshing, so cleansing. 'Nocturne 4' is really up there with those five ***** albums I've reviewed recently. (Check TMGS, Cari Cair, Light, Distance & Sky and The LVE if you like.) The rock beast lies down its head and the Medieval Gregrian choir returns, with underneath it the final piano notes and the electronic treatment as this choir may well come out of a synthesizers for all I know. Everything is possible these days. But, no it is the mixing of .No. Just look at the playlist and know this choir was added twice it seems. Kairos returns to the album 'Rothko Chapel'. This time with John Cage's Four2. Very very serious music, with dark, dark male voices until the ladies take over. Underneath it again soundscapes, but what to make of it. The music is sacred, yet modern. Fit for the poem of the month. A long poem this month, 'Ademtocht' by Erna Speek. Back to Iceland. Has .No ever been on holiday there? Not that I'm aware of, but a fact is that Icelandic artist and composers often find their way to Kairos. 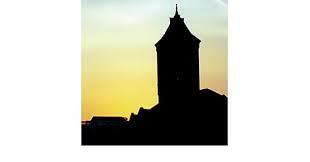 It will have to do with the mysticism surrounding the faraway, Nordic island, the myths and legends there. Högni presents us a dark, sombre choir piece, full of deep voices, male and female. That mood is broken by a soft guitar and a familiar harmonium. The story of how a 19th century harmonium made it's way to the two musicians leading the U.K. folk band Modern Studies is nice to know. The album they recorded with the harmonium one of my favourite albums of 2017. (The 2018 album is even great, but the harmonium has been put to pasture.) The soft melody if 'Swimming' is far from joyful, after 'Andaðu' everything becomes a feast of brightness and joy. Time to put my Modern Studies LP on once again. The harmonium ends the song in a soft and beautiful way. Jeroen Elfferich returns to Kairos as well. A composition for four hands and two pianos. Mind, minimal music for two pianos, so no quatre mains here! Underneath, I suspect, .No was at work with a soundscape of a choir of some sort. All this leads to a formal conclusion: A) There is too much melody for 'Holy Wood' to be minimal music. This is the total opposite with the exception of Paganini. B) I really do not hear four hands, unless both musicians are able to play the exact same thing at the exact same time. But then, this contribution fits several others this month. A piano based Kairos for sure. A clock of sorts takes over. What to make of this? That choir continues, slowly to be replaced by sounds, the clock becomes louder and louder. From the crackles another choir comes forward, as if been drawn through a minimum of three consecutive phaser effects. It could be the start of a Pink Floyd song like 'Time' on 'Dark Side Of The Moon'. It is the introduction to Richard Bolhuis' House of Cosy Cushions' return to Kairos. 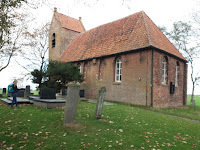 (By the way, I walked past the "Kerkje te Oostum" recently, so now I know how special that location is.) I stick to my Pink Floyd comparison. This is totally Rick Wright inspired and Roger Waters experimenting with his first synthesizer. Go Richard!, I say. here. Next up are two fragments of people who have lost their native tongue. Something that can happen when people stop speaking it for whatever reason. I remember seeing a postcard in Cornwell with a commemoration of the last woman who spoke Cornish. And that wasn't that long ago at the time. We're several decades further since. An organ drones, with in the background a shower or something or rain outside a window. The language is lost alright, so there Yui Onodera & Celer are quite right. Am I interested in what I'm hearing? No, far from. This is simply too uniform. Just drones on an organ or something. Apparently going nowhere, just droning. And I'm just not a fan of drones if it doesn't lead me anywhere or isn't a part of a more interesting whole (which drones seldom are). So I'm quite pleased a violin pops up, introducing a change. Minco Eggerman returns with a track from his album 'Kavkasia'. Not that this is a cheerful song. No, 'Dance' is not what it suggests to be. "I'm not the swinging kind", is sung, I will profess to this statement. After 'An Imaginary Tale of Lost Vernacular' 'Dance' is a fest and I am aware I'm repeating myself here. The horn part towards the end is quite interesting. Church at Oostum. Photo, Wo. .....And no, I hadn't read what follows now when I wrote the above circa 10 minutes ago, before I heard this track, as I always try to be totally unprepared listening to Kairos and let myself be swept by my impressions. The next contribution is called 'Church At Oostum' (Kerkje Te Oostum). This time dark sounding violins and cello's take over. This little church lies on a wierd in the province of Groningen, the top of a small, unnatural hill in a polder, an endless polder. Around it only a few houses and that is all Oostum is. A graveyard around the church where mortal remains lay buried and people still are being buried. A windswept, near deserted part of the country. I had never even been there before. From .No's stories I had the impression Oostum was in Friesland, but obviously not. Richard Bolhuis organised a show there .No was present at. Now Johanna Varder plays her composition inspired by the little church on top of that wierd and I can imagine the whole thing now in my mind's eye. How long ago is it that I played 'Wincing The Night Away' that beautiful album by The Shins from 2007 and until now its best? It must be years. And here .No plays a track from the album on Kairos. 'Red Rabbits' is the track of choice. Too bad the vernacularless duo returns in between (not funny!!! ), but hey, I did get that delightful bittersweet voice of James Mercer at the end of this Kairos. 'Red Rabbits' is one of those lighthearted, sprightly songs of The Shins where at the same time not all is right. "Tijd om uit te gaan", the last line from the poem is repeated at the very end. Yes, tonight (at the time of writing) my band rehearses, so I will be going out soon. But not before I recommend the best track The Shins recorded to .No. 'St. Simon' definitely belongs is Kairos. Let's say January 2019? 07:36 Pieter Nooten. Quarter Moon. Album ‘Stem’. Rocket Girl RGIRL115. 12:30 Keith Freund, Linda Lesjovka & Mike Tolan. Dazzle Ships. Trouble Books. Album ‘Gathered Tones’. Own Records OWNREC#49. 13:41 Ben Lukas Boysen. Nocturne 4. Album ‘Spells’. Erased Tapes Records ERATP085CD. 20:02 Johan Duijck. Emittit Verbum Suum (from ‘Lauda Jerusalem op. 4’). The Flemish Radio Choir, Ignace Michiels (organ), Johan Duijck. Album ‘Cantiones Sacrae’. PHAEDRA DDD92058. 20:33 John Cage. Four2 (fragment). Houston Chamber Choir. Album ‘Rothko Chapel’. ECM NEW SERIES 2378 4811796. 25:28 Högni. Andaðu. Album ‘Two Trains’. Erased Tapes Records eratp103. 27:40 Modern Studies. Swimming. Album ‘Swell to Great’. Fire Records 555073. 32:06 Jeroen Elfferich. Holy Wood. 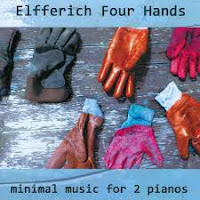 Album ‘Elfferich Four Hands, minimal music for 2 pianos’. Self-released..
35:56 Dmitry Evgrafov. A Gleam. Album ‘Comprehension of Light’. FatCat Records CD13-27P. 37:29 Richard Bolhuis. Fever Angels. House of Cosy Cushions. Album ‘Underground bliss’. Outcast Cats. 40:42 Yui Onodera & Celer. An Imaginary Tale of Lost Vernacular(fragment). Album ‘Generic City’. Two Acorns 2A01. 41:07 Yui Onodera & Celer. An Imaginary Tale of Lost Vernacular(fragment). Album ‘Generic City’. Two Acorns 2A01. 48:49 Yui Onodera & Celer. An Imaginary Tale of Lost Vernacular(fragment). Album ‘Generic City’. Two Acorns 2A01. 51:28 Johanna Varner. Church of Oostum. Johanna Varner. Album ‘Johanna Varner. Self-released. 58:02 The Shins. Red Rabbits (fragment). Album ‘Wincing the Night Away. SUBPOP SPCD 705. 59:21 Yui Onodera & Celer. An Imaginary Tale of Lost Vernacular(fragment). Album ‘Generic City’. Two Acorns 2A01. 59:35 The Shins. Red Rabbits (fragment). Album ‘Wincing the Night Away. SUBPOP SPCD 705.